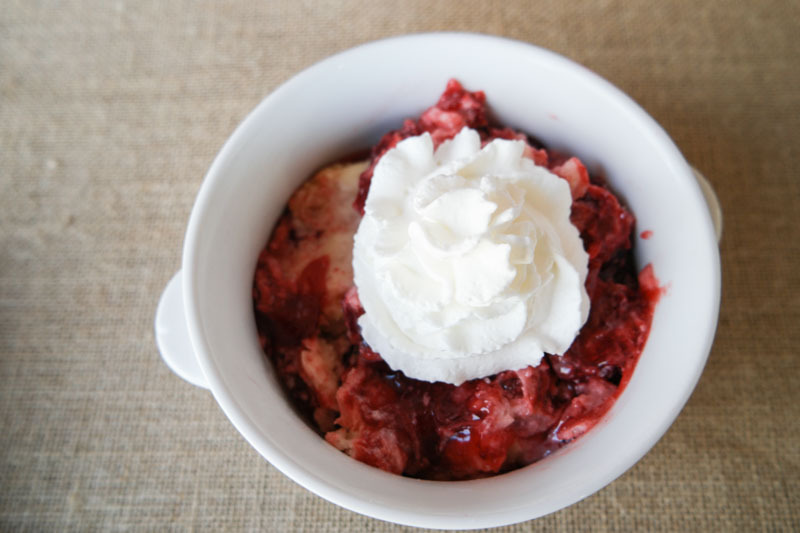 This Strawberry Dump Cake is just what I needed to satisfy my strawberry craving! 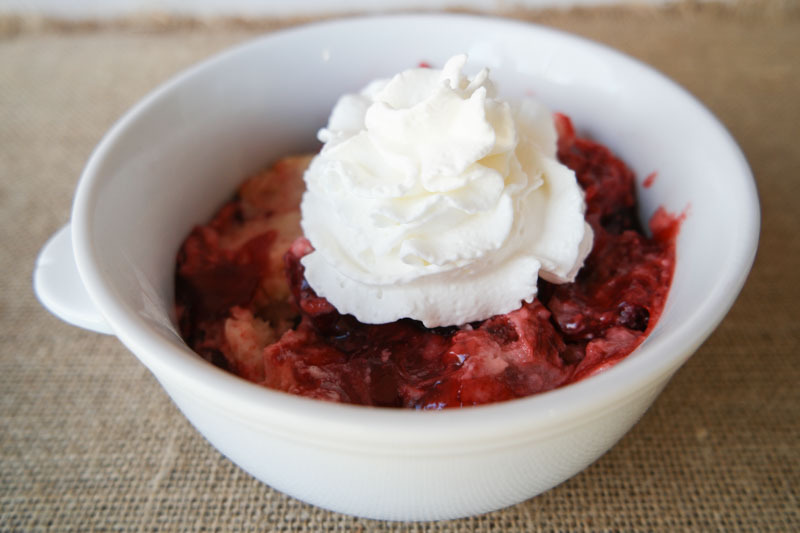 It’s a no fuss dessert since it’s made right in the slow cooker! 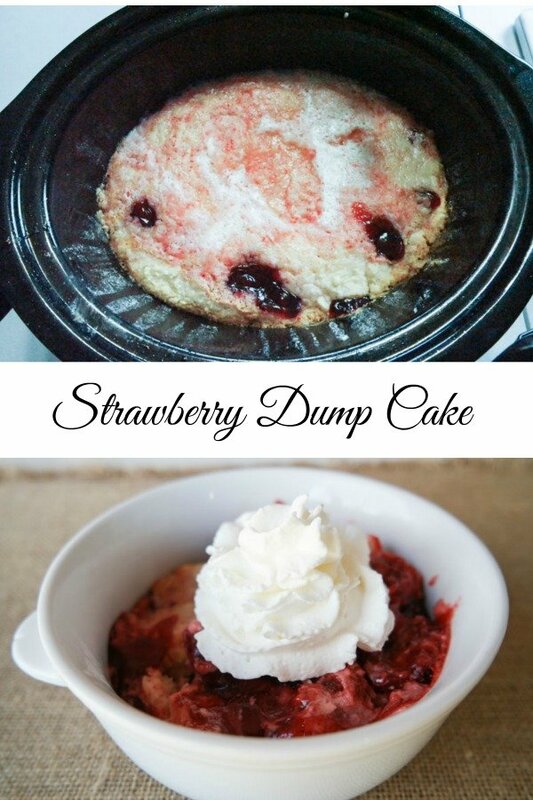 If you haven’t made a dump cake before, you’re in for a real treat. 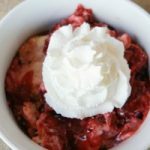 The simplicity of the traditional dump cake combined with the ease and energy efficiency of using your slow cooker just can’t be beat! I recommend not using a crockpot liner for this recipe. The liner will keep you from getting that crusty texture around the edges that really takes the taste over the top, and trust me, you want that! Just spray with a nonstick spray instead. Spray oils are now sold in healthier propellant free options, and you can also get great oil misters which are refillable and very economical too. Top with whip cream and enjoy! Check out our other Slow Cooker Spiced Apple Dump Cake and our 3 Ingredient Greek Yogurt Cake Mix Recipe. Place 2 sticks of butter on top of mix. Serve with whip cream or cool whip. Need more recipe inspiration? Check out my Fresh Strawberry Lemon Bundt Cake!